While the official information is yet to debut, Samsung Galaxy S10 is now said to debut in February next year with four distinct colour options. The next flagship model of the South Korean giant is already rumoured to have gradient colour variants that could be related to some of the four colour options. Two of the Galaxy S10 variants is also said to debut with an in-display fingerprint sensor. It is also reported that Samsung will use M9 display panels that will sport diode pumped solid state (DPSS) laser-drilled holes for the selfie camera and infrared sensor. The next-generation display panels, which will be the successor to the M8 displays featured on the Galaxy S9 and Galaxy Note 9 this year, are likely to come with the new Infinity Display designs. Among other developments, Samsung is set to bring the Galaxy S10 in Black, Green, White, and Yellow colour options, reports SamMobile, There could also be some gradient colour jobs on the reported colour options to match the ongoing trend. Further, it is said that Samsung will offer LED Flip and Protective covers for the Galaxy S10. The SamMobile report also mentions that there will be the SM-G973x and SM-G975x with 5.8-inch and 6.44-inch display sizes and in-display fingerprint sensor. However, it is said that the there will be a 5.8-inch display option carrying model number SM-G970x sans the in-display fingerprint sensor. It could be the most inferior option in the three Galaxy S10 variants. Moreover, the information matches a report that emerged back in July, specifying the presence of an ultrasonic in-display fingerprint sensor on two of the Galaxy S10 models. Apart from revealing the information about the Galaxy S10, SamMobile mentions that the Galaxy F foldable smartphone that is expected to debut in March next year will come in Silver and Black colour options. There will particularly be a device with model number SM-F900U that will have 512GB of onboard storage. The European and Asian variants of the Galaxy F, on the other hand, are said to come with model number SM-F900F and SM-F900N, respectively. 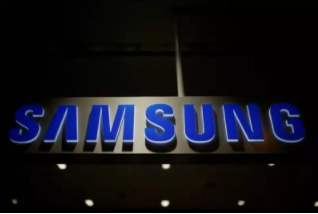 Separately, an ETNews report suggests that Samsung has preferred the M9 display panels with DPSS laser-drilled holes for the Galaxy S10. It is reported that the new display panels will come with not just one but two holes where one will be available for the front-facing, selfie camera, the other one will be provided for the infrared sensor. This is unlike the original Infinity O display design that Samsung showcased at its annual developer conference earlier this month that had a single hole for the selfie camera. Notably, the company also recently teased the Galaxy A8s with a single display hole design for the selfie camera. Samsung is said to use SFA, Phil Optics, and Wonik IPS’ laser equipment to drill the holes on the display panels. The company is also presumed to go with an alternative approach over time as it’s not reportedly fully satisfied with the results of the DPSS. TheElec reports that Samsung Display is internally calling the display hole technology “Hole in Active Area”. Using a laser etching or drilling process, the display panels will come with holes for the related components. An option to hide the holes virtually through enabling black panels on the display is likely to be available. This could be similar to how some Android smartphones have offered the ability to hide their display notches. The M9 OLED display panels that will be the successor to the existing M8 displays are said to utilise red, green, and blue host colours from Dow Chemical, Nippon, Samsung, and SFC, respectively. Further, Duksan Neolux, Merck and Idemitsu Kosan are reported to provide the red, green, and blue prime layers for the new panels. The ETNews report has also mentioned the three display sizes of the Galaxy S10 and revealed that the production of the display panels has already been started. Additionally, it is said that the base model with 5.8-inch will come with a flat display, while the other 5.8-inch model as well as the top-end, 6.2-inch model will come with curved panels.